Aiden's tagline for his company is that "It's Personal" and he truly means just that. 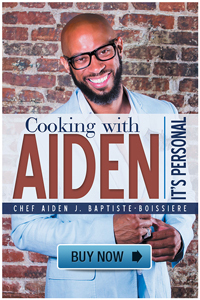 From his food to his personality Aiden gives you the feeling of knowing him for years. 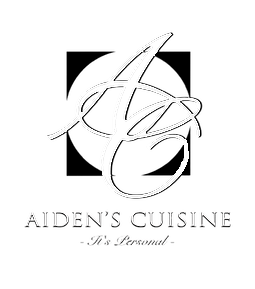 February 23, 2013 I had the pleasure of using Aiden's Cuisine for my magazine's launch party, and his service was superb! From start to finish he made the guest feel the warmth from his smile, his presence and his food. 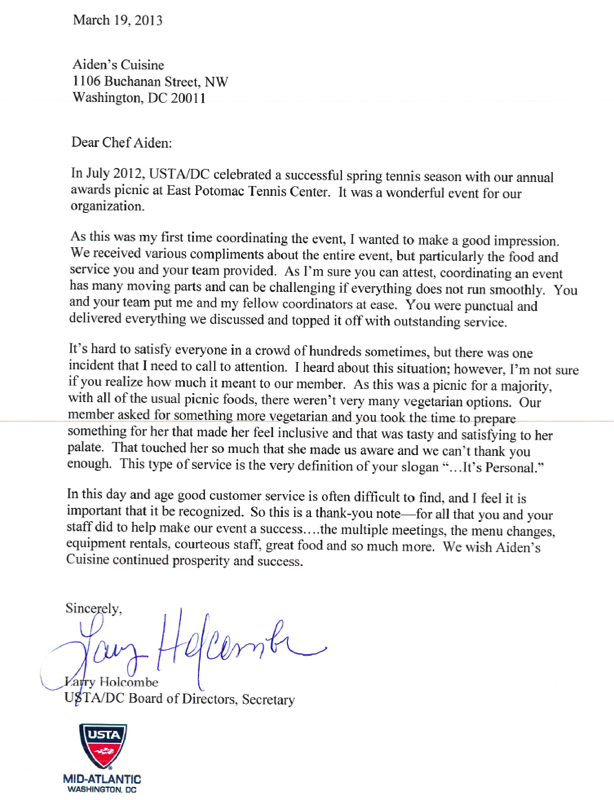 I look forward to using Aiden's Cuisine for all events in the future. Thanks for such wonderful service Aiden! 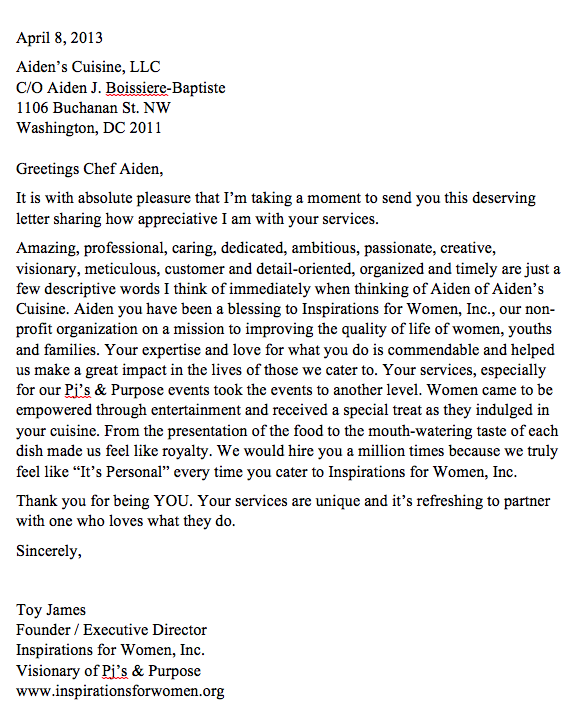 Looking forward to being blessed by your amazing gourmet services and GREAT personality. Everyone at Inspirations for Women, Inc. love and appreciate you, especially.